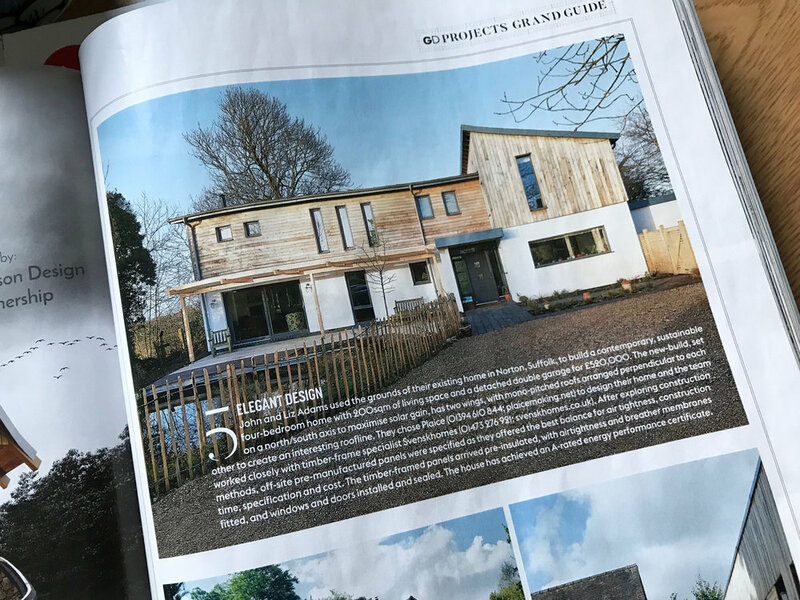 It’s great to see that our Sustainable Home, Harefield House was included in the December issue of Grand Designs Magazine. 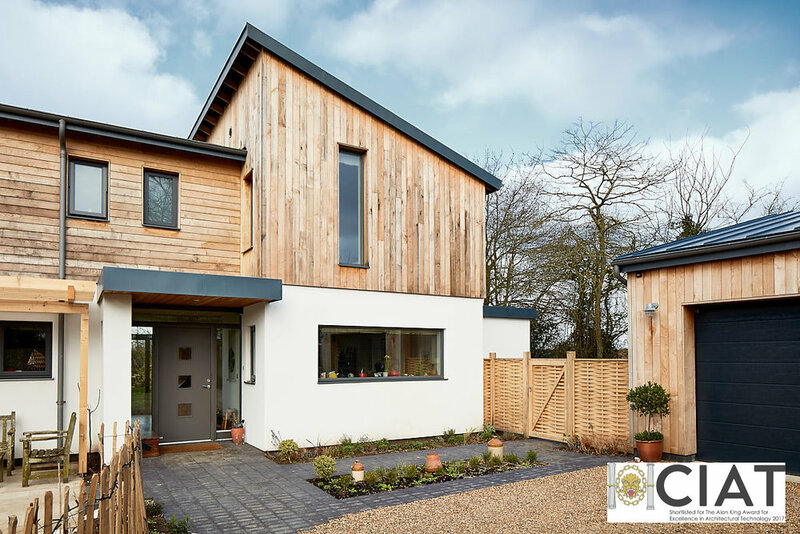 The project was selected as part of ten inspirational timber buildings (focusing on timber construction) showing how working with wood results in strong, dependable homes that look good inside and out. Plaice worked alongside Mixbrow Construction and Svenskhomes who were able to offer energy efficient techniques whilst providing a flexible off-site pre-manufactured panels to construct the perfect home. Plaice are celebrating for the second time this year, after winning the Design Category Award at the recent Suffolk Coastal Quality of Place Awards, held at East Suffolk House, Riduna Park, Melton, Suffolk. The awards, organised by Suffolk Coastal District Council recognises and encourages an interest in the quality of the built and natural environment of the district and promotes an awareness of the need for high standards in all forms of design, including Building Conservation, Design, Nature & Landscape. The winning entry, an alteration and extension to a 1960’s property in Sandy Lane, Woodbridge is a bold and dramatic scheme, which set out to completely overhaul the existing property, almost doubling its footprint. Plaice are pleased to announce that one of their first projects undertaken in Woodbridge has been shortlisted for Suffolk Coastal’s Quality of Place Awards. The project, an alteration and extension to a 1960’s property in Sandy Lane, Woodbridge is a bold and dramatic scheme, which set out to completely overhaul the existing property, almost doubling its footprint. 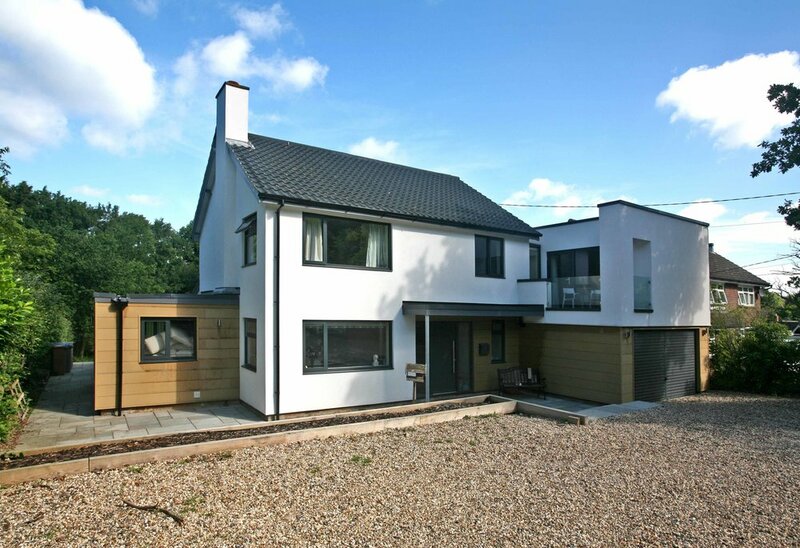 Our clients were particularly hands on and although a main contractor was used to form the basic shell, the clients project managed the job themselves and also carried out a large proportion of the work, including installation of the insulated render boarding, cladding, plumbing and decoration works. The end result is a light filled open plan dwelling, which embraces the garden and responds well to modern day family life. Plaice are celebrating after winning one of two commended accolades for The Alan King Award for Excellence in Architectural Technology at The AT Awards, held at the Village Underground, Shoreditch, London. 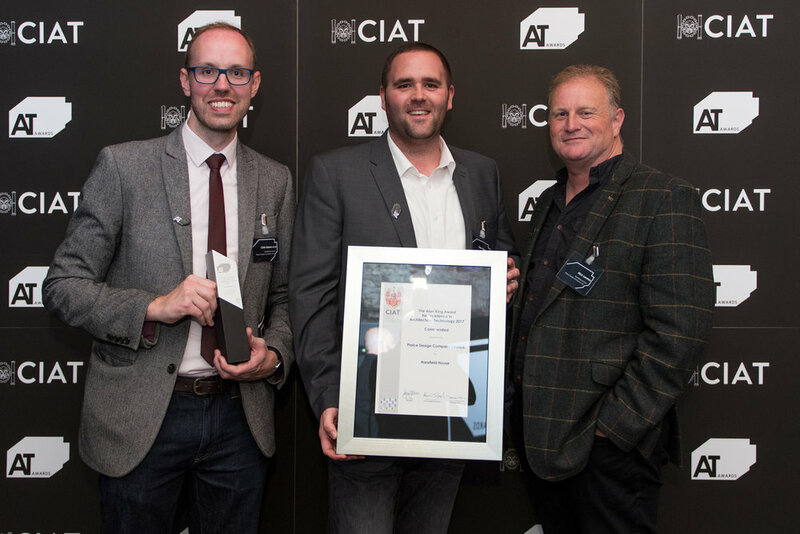 The awards, organised by the Chartered Institute of Architectural Technologists (CIAT) recognise outstanding achievements in the industry and highlight how architectural technology achieves efficient and effective construction. In the run up to the 2017 CIAT AT Awards, we have put together a time-lapse video of our shortlisted entry Harefield House, which shows the erection of the pre-fabricated timber frame over 2 days. (Photos kindly supplied by Mr & Mrs Adams). Suffolk based Architects and Technologists Plaice Design Co Ltd are celebrating after learning that they have been shortlisted for The Alan King Award for Excellence in Architectural Technology at The AT Awards 2017. 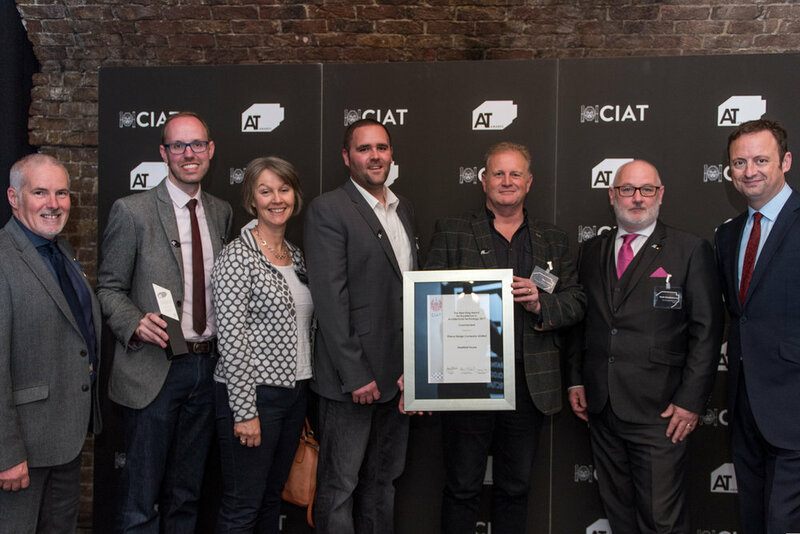 The awards which are organised by the Chartered Institute of Architectural Technologists (CIAT) recognise outstanding achievements in the industry and highlight how architectural technology achieves efficient and effective construction. 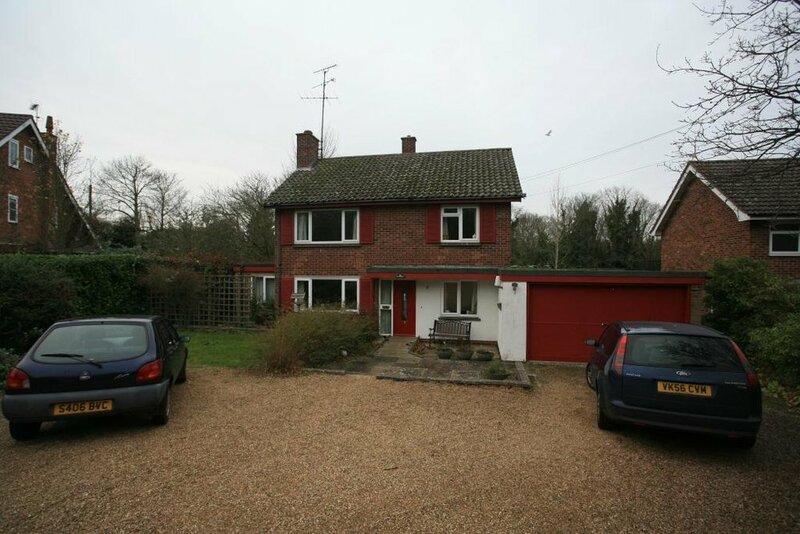 The shortlisted entry, a sustainable house constructed in Norton, Suffolk was manufactured off-site, is highly insulated and air tight and has a number of integrated sustainable technologies, resulting in a family home which has a comfortable living environment all year round with minimal energy demands. To reach this stage of the competition, a panel of experienced Chartered Architectural Technologists rigorously judged and peer assessed each entry in terms of their design context, concept and creativity against their response to Architectural Technology, relating to function, fabric performance and delivery. 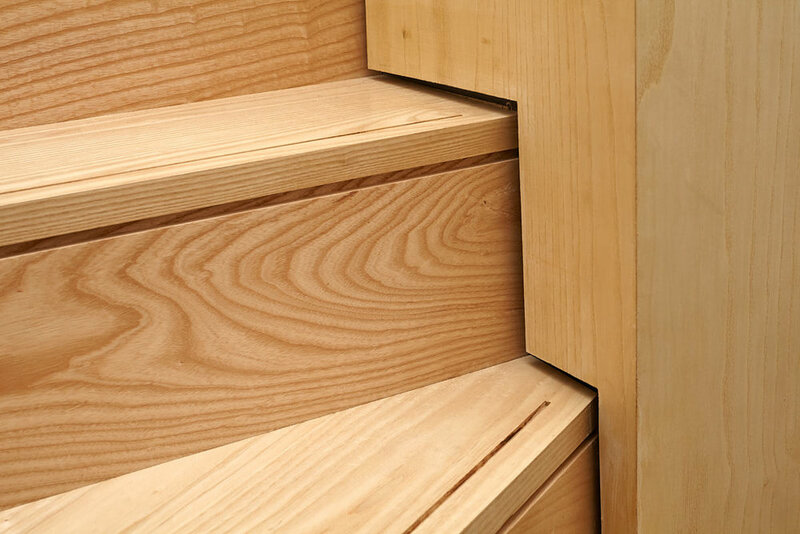 The AT awards are open to all individuals and practices within the UK and internationally, and Plaice have been shortlisted alongside three other entries. Winners will be announced and presented on 15 September 2017 at CIAT’s new Architectural Technology Awards event held at the Village Underground, Shoreditch, London. The event recognises and celebrates the exceptional contribution that Architectural Technology practices and professionals make to the built environment.